﻿ Want to Set Up a Soybean Oil Making and Oil Filtering Plant? 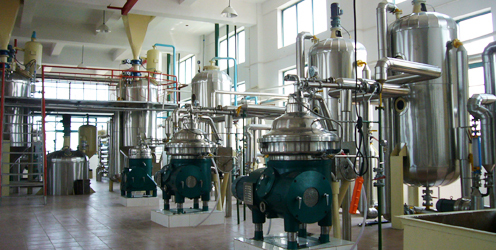 We can supply different capacities of soybean oil making and oil filtering plant for different customers' needs. 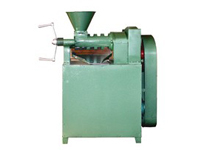 No matter small cale plant for personal use or even large scale for commercial purpose. You can just trust on us for we have been in this field since 1990 and have got numerous clients across the world. Soybean oil making and oil filtering plant strat with seed preparation. Firstly the soybeans should be appropriately pretreated to get rid of unuseful impurities, and then seeds will be sent to soybean oil making plant to extract soybean oil out with certain oil press machine. However, this extracted oil contains phospholipids, FFA, pigment, off-flavor and other impurities which should be removed from the oil for edible use. 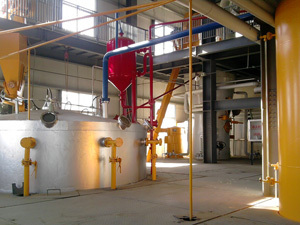 In the complete soybean oil making and oil filtering plant, several processes may be used to produce an edible oil. We will deal mainly with the caustic filtering process, the most widely used and probably the most reliable to produce a good quality oil. Welcome to email us anytime you are prone to set up a soybean oil making and oil filtering plant, you can also buy quality oil making machines from us too. We are always ready to give you the greatest service!